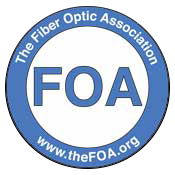 Posted October 24, 2014 by Connected Fiber & filed under Fiber Optic Testing. It might not be that known but Africa happens to have a large mobile population, and that’s only increasing as the years pass. So it’s no surprise that after Google Fiber announced they would be installing fiber into Brazil, Africa took advantage of what would soon to come and they plan to have an undersea cable run from Africa to Brazil. This would result in a fiber line that could potentially connect Brazil, USA, and Africa together and improves all of their internet capabilities, particularly around using mobile devices to access internet. Brazil and Africa both happen to have an increasing population of internet users, especially through mobile devices. This is one of the reasons there was a joint plan in motion to improve the fabric of the internet for people in these countries. It’s nearly 300 million in Latin America alone, and another 200 Million in Africa who are internet users and that actually makes these countries the fastest growing places for internet, which means there are more neighborhoods interested in receiving internet and find the worth of it, unlike many areas in the United States. Regardless the construction for the Africa-Brazil fiber installation is set to be finished by the end of 2016. The construction has taken over 300 Million to start the project and a number of companies have been involved in the creation of it, including Google and Telecom. It’s a massive project, and one of the first in some time that spans multiple countries. The result will lead to around 20-30% improvement in internet capabilities and even mobile capabilities throughout Africa and even help spread fiber to other parts of Brazil that aren’t covered by the Google Fiber America to Brazil connection.